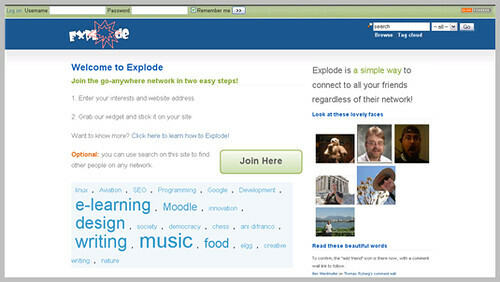 I love the idea of Explode, a service by the folks behind open source social network Elgg, which is to be a ‘portable social network.’ Launched last Friday, Explode puts a new twist to social networking: in the style of MyBlogLog, it’s more of a social network of a network rather than the odd MySpace clone network. People can find their friends and each other using the search feature or the Tag Cloud which categorizes people with their interests. While it’s a good way to meet new people, what’s more is that you can interact with them using the comment wall feature. In effect, I find Explode to be more of a supplementary to a regular social network rather than one by itself. For example, if you live in a place where one of your friend circles uses x and another y, it’s a good bridge between the two. When it comes to the future of Explode on the usership aspect, I’m really not sure where it’s going to get to. 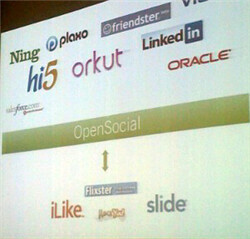 Social networks (MySpace) have already had their peak. An Explode-style social network (MyBlogLog) has already had its peak. So, what’s left?